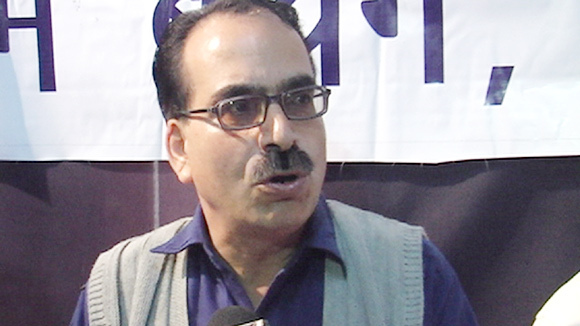 xpressing concern over the prevailing Kashmir situation, Panun Kashmir has asked the people of India and present Government to awaken from slumber and shun the ostrich-type attitude. Addressing the meeting of Supreme council of Panun Kashmir, Dr. Agnishekhar convener Panun Kashmir said that PK has time and again implored with GOI and people of India to see the grand design of Pan-Islamic hurricane moving from its fountain head Pakistan and Afghanistan and entrenching itself on the northern frontier of India and making its presence felt in a big way in Kashmir. The demolition and desecration of Bamiyan Buddha; imposing of Jazia on Hindus and Sikhs in Afghanistan and Pakistan; expulsion of Kashmiri Pandits from Kashmir Valley and recent events of sacrilege of Kesh of Sikhs in Kashmir bears a testimony to the fact how the Islamic Jihad is knocking on the doors of India, he said and added that maligning of Armed Forces and encouraging and appeasing of secessionists in the Kashmir Valley has put the Kashmir seemingly in an irretrievable position for GOI.He appealed all Kashmiri Pandit Organization in India and across the globe to make a consolidated effort on ideological front and speak in one voice for achieving the geo-political goal for more than seven Lakh Kashmiri Pandits that is creation of a separate Homeland with Union Territory status in Kashmir Valley. The participants said that Panun Kashmir is of the firm view that GOI's policy of blunders, appeasement and vacillation is going to endanger sovereignty and integrity of India, adding that it appears that GOI is going to walk an extra mile in granting a political dispensation to majority community of the Valley even at the cost of national interest.